30 June 2017. The U.S. Food and Drug Administration approved use of vagus nerve stimulation to treat epilepsy in children who do not respond to drug therapy as young as 4 years old. The company LivaNova PLC in London, U.K. that makes the VNS Therapy system says FDA previously set the minimum age for its vagus nerve treatments for epilepsy at 12 years. The VNS Therapy system is a surgically-implanted device that sends mild electrical impulses along the vagus nerves, which run on each side of the body from the brain stem to the chest and abdomen. Impulses are sent along the nerve to the brain stem, which then sends signals to areas of the brain. Vagus nerve stimulation is used in various forms to treat symptoms of epilepsy, depression, and migraine. Epilepsy is a neurological disorder where nerve cell activity in the brain is disturbed, causing seizures with symptoms ranging from blank stares to tingling sensations to loss of consciousness. World Health Organization estimates some 50 million people worldwide have epilepsy, where in many cultures people with the condition face stigma and discrimination. While epilepsy can be treated in most cases, WHO says as many as 30 percent of episodes do not respond to treatment. VNS Therapy uses an implanted device with electrodes connected to the vagus nerve that sends mild impulses at regular intervals throughout the day designed to prevent the onset of seizures before they start. 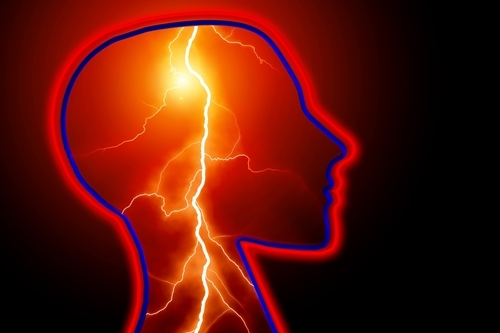 A higher-level version of the system also detects for signs of oncoming seizures, such as rapid heart rate, and provides an extra charge to prevent a seizure from occurring. An optional device allows care givers to manually provide an extra therapeutic charge if an individual suffers a seizure. The device is designed specifically for individuals whose epilepsy does not respond to drug treatment. LivaNova cites three published studies, including a multinational clinical trial, showing children using VNS Therapy earlier have better long-term outcomes as they develop. The company says its device is usually implanted in an outpatient procedure, with patients going home the same day. Common side effects reported with VNS Therapy are hoarseness, shortness of breath, coughing, and throat tickling. The company says these side effects are mild and temporary. Earlier in June, FDA approved the use of MRI scans in people with implanted VNS Therapy devices. LivaNova says people with the device can have MRI scans without special procedures, which covers 90 percent of scans performed on individuals with epilepsy. Regulations biomedical, engineering, Europe, FDA, life sciences, medical device, physical sciences, U.K.